Today on the show: we give you the vocabulary and tools to buy cloud in an intelligent way. So, you have decided to buy cloud! Good decision. Cloud provides a lot of benefits such as flexibility, evergreen versions and cost effectiveness. If you look around - surf the internet or visit an expo - you'll find that there are so many options for a cloud provider. Each and every one of them claims to be the best in some metric, and they are the one you should choose. However, how can you evaluate them? You might be wondering, which provider should I trust? What should I ask them? What should I keep in mind when purchasing cloud. 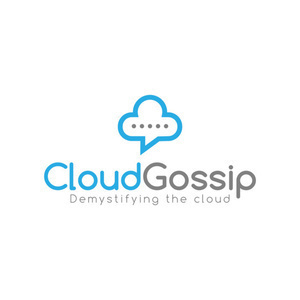 In this episode, we give you the vocabulary and ammunition to buy cloud in an intelligent way. To get to the bottom of purchasing cloud, we will first have to discuss and figure out what the cloud actually is. Usually the cloud is categorized into 3 different sections. They are Software as a service also known as SaaS, Platform as a service known as PaaS and Infrastructure as a service, IaaS. See the pattern? It’s no longer about old-school servers, now it’s all about services. The choice is between level of control and responsibilities: This means that in Infrastructure as a service we get most control but have more responsibilities than in the Platform as a service or Software as a service models. A handy way of thinking about this is that with Software as a Service you buy ready made solution, like a stuffed bear or a Star Wars figure. With platform as a service you build the figure from building blocks -- like you would build up a Lego set from given blocks. And with Infrastructure as a Service you literally build the blocks yourself, for example by 3d printing them and then building the toy from the blocks that you built yourself. Understanding the differences in cloud areas is particularly important to avoid cloud washing! That happens when a company is selling traditional datacenter capacity as cloud, meaning that you don’t get the benefits of the cloud. So you gotta be careful! Most companies who are "in the cloud" use Software as a Service: for example Google Gmail for email service in the cloud, Dropbox for storing your files in the cloud or Microsoft Office 365 for emails and file storage. You can learn more about cloud service models in the episode - What is the cloud. For this episode, we are ready to get to the juicy stuff. We are going to highlight some of the biggest obstacles companies might face. They are cloudwashing, contract length and migration readiness. We will begin by looking into the first notorious obstacle, cloudwashing, through an example. In this case a company was facing the end of their email software lifecycle: they needed to upgrade their email software. Last time they upgraded, it took them 6 months and multiple failures to get the new system running. And on top of that, their best email administrator had since retired. They wanted to move into an “evergreen” system - meaning that the email service is always upgraded to the latest version. They chose to go to a traditional service provider who promised them all the power of the cloud without the downsides. However, it turned out that the email service provided was actually the same version that the company was trying to move away from. And the service provider had a larger customer using the same email service. The larger customer had their own business reasons to upgrade in a slower pace. So the company got stuck with the old version until the other customer allows the service provider to upgrade the email service. Our unfortunate company is a victim of cloud washing: they had paid for a cloud service, but got traditional it solutions. Let's look into the second obstacle, contract length. A company might have an existing contract that lasts for multiple years. During that time, even if they stopped using the service, they would still pay the same amount. This means that even if they would have migrated their software to the cloud, they wouldn’t achieve the cost effectiveness of the cloud. They would essentially pay for two contracts at the same time. And about the third obstacle: migration readiness. Migration means the movement of software from one server to another. This is a huge change, so it requires careful planning in order to keep daily business running. The company needs to ensure their IT professionals have the right skill set to perform the migration. Once the migration is completed, the end-users need to be trained in order to be productive in the new environment. So now that we know what pitfalls to avoid, we can move on towards the good tips you can use. Let's list some best practices! These are the things you should ask from potential vendors and companies you are considering. We have 4 questions for you to ask, and take away as a checklist for your cloud negotiations! Number one. How do I get my data out if I leave to another provider? These questions are important to ask, because in the worst case the migration could only be done with the help of the provider or with their permission. That would basically mean that whenever you would like to leave their cloud service, you would need to go to them and ask them to help move your data out of their system. This would be similar to getting a free entry to a night club but having to pay to get out. It will be in the best interest of the old cloud provider to make the migration as slow or as expensive as possible, essentially keeping your data as a hostage. Most likely they would always blame the new provider for any obstacles occured. The specific questions to ask would be: How long does it take to export my data? At what cost? Who can perform the work? Then the second question to ask would be this: Do you match your prices with competitors? This is a very important topic. Some hyperscale cloud providers - Amazon Web Services, Microsoft Azure and Google Cloud have publicly promised to match each other's pricing in comparable services. For example, if one of these three cloud providers reduces pricing in virtual machines, the others will match those new prices. This applies to most cost-sensitive services like storage or virtual machines. Having these price drops and active price competition is really beneficial for cloud users. Users may get several price drops per year, meaning that the operating costs would get lower over time! This is really different from the traditional IT world, where you would negotiate a fixed cost upfront, preferably even for several years in order to keep the prices from rising. So concrete questions to ask would be: Do you match your prices with competitors? Which competitors? How fast do you match those prices? How fast does it show up on my bill / or is it only for new customers. Devil is in the details here! And another, the third, question is related to something called pay as you go billing. In true cloud model, you pay retroactively based on what you actually use. For example, if you only use a certain virtual machine for 17 minutes, you would only get billed for 17 minutes. This is similar to how your mobile carrier charges you. If you call for 17 minutes, you get billed for 17 minutes. In traditional hosting, you would pay upfront based on estimated usage, even though you wouldn't actually use that amount. That would be similar to you paying your mobile carrier for a fixed package of let's say 100 minutes per month. You would still pay for those 100 minutes, whether you called 1 or 100 minutes. So you would end up paying more than what you use. So the precise question to ask would be: Do you provide pay-as-you go billing? As with price matches, devil lies in the details. The fourth, and the last on our quick best practices tip list is: How fast can you provide me double the resources that I currently use? This question is related to scale, speed and technical capabilities of the cloud provider. In a hyperscale cloud world, there is virtually limitless capacity available. You can go from 0 to 100 virtual machines in just a blink of an eye. In the cloud creation of new services should be self-service and automated. You shouldn't have to call somebody or go to a meeting with a sales representative to get more resources. Resource providing lead time is good example where cloudwashing might take place. A traditional hosting provider can sometimes provide a self-service tool for requesting the resources. But it wouldn't be automatic creation, but rather a technician getting an email or a ticket in their task system and then fulfilling it. In the on premise world, in some cases, only the most used services would be available for self-service creation. Resource creation should be self-service or automated and should only take minutes instead of hours or days. 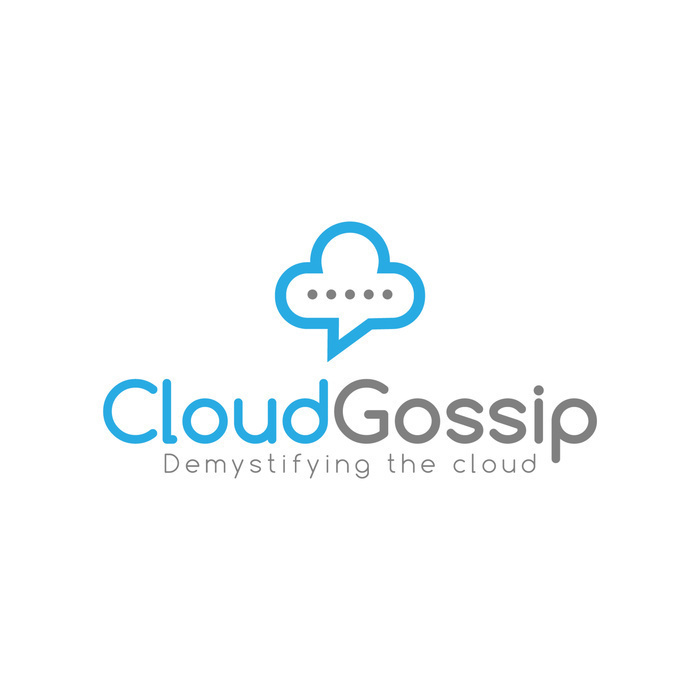 So, we compiled this list to help you with your discussion with cloud service providers. The list will help you navigate obstacles related to cloud purchasing. Today on the show: Infrastructure as a Service, Platform as a Service, Software as a Service. What are these cloud service models and how do they compare? Today on the show - hyperscale datacenters. After this episode, you'll know what they are, what makes them special and why are they important for the cloud. Today on the show: why containers? Where do they come from, and which problems do they solve?